If we are like most Muslims, we probably have a copy of the Qur’an somewhere in our home. We may not know where it is, but that is only because we never needed to look for it. Most often, it occupies the top shelf in any stack of books (ensuring maximum accessibility! ), or found wrapped in multiple layers of decorated cloth (ensuring optimum visibility!). More likely than not, it's the one book with the most dust on it and the one we are least likely to pick for our night-time reading. There is a reason we treat this 'holy book' in such a disgraceful manner: we do not know why we have it and why we need it in the first place. By our indifference, we have ignored its awesome power to change people and transform societies. By our misguided love for the physical Book, we have made it "untouchable", suitable only for occasional mouthing of its syllables, but otherwise to be stored away. By our overemphasis on minute details, we have erected barriers between the Qur’an and ourselves, counting on someone else to tell us how to understand it, so that we hardly ever interact with it personally! For those who heard it for the first time from the lips of the Prophet, blessings and peace be on him, the Qur’an was a living reality. They had no doubt that, through him, Allah was speaking to them. Their hearts and minds were therefore seized by it. Their eyes overflowed with tears and their bodies shivered. They found each word of it deeply relevant to their concerns and experiences, and integrated it fully into their lives. They were completely transformed by it - both as individuals and as a community - into a totally new, alive and life-giving entity. Those who grazed sheep, herded camels and traded petty merchandise became the shepherds and leaders of mankind! How do we make the Qur’an, again, a living, relevant force, as powerful for us now, 1420 years away, as it was then? Only by entering the world of the Qur’an as if Allah were speaking to us through it now and today, and by fulfilling the necessary conditions for such an encounter. Firstly, then, we must realise what the Qur’an, as the word of God, is and what it means to us, and bring all the reverence, love, longing, and will-to-act that this realisation demands. Secondly, we must read it as it asks to be read, as Allah's Messenger instructed us, as he and his Companions read it. Thirdly, we must bring each word of the Qur’an to bear upon our own realities and concerns by transcending the barriers of time, culture and change. As you come to the Qur’an, you come to a new world. No other venture in your life can be so momentous and crucial, so blissful and rewarding, as your journey to and through the Qur’an. It is a journey that will take you through the endless joys and riches of the words that your Creator and Lord has sent to you and all mankind. Here you will find a world of untold treasures of knowledge and wisdom to guide you on the pathways of life, to mould your thoughts and actions. In it, you will find deep insights to enrich you and steer you along the right course. From it, you will receive a radiant light to illuminate the deeper reaches of your soul. Here you will encounter profound emotions, a warmth to melt your heart and bring tears running down your cheeks. To remain determined and steadfast on our road to its discovery, and to derive the maximum benefit from our undertaking of studying the Qur’an, we must approach it with certain convictions. First, our lives will remain meaningless and ruined unless they are guided by the Qur’an, the word of God. 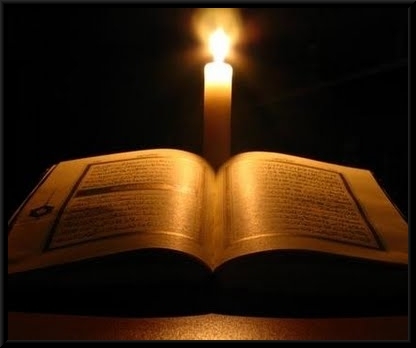 Second, the Qur’an, being the eternal guidance given by the Ever-living God, is as relevant for us, today; as it was fourteen centuries ago, and will remain so forever. Third, we almost have a right, in some sense and measure, to receive its blessings today as its first believers did; provided, of course, that we come to it and move in it in a manner that may entitle us to share its rich harvest. Fourth, every Muslim has a duty to devote himself to reading, understanding, memorizing and implementing the Qur’an. Fifth, one must abandon oneself totally, in thought and deed, to whatever the Qur’an has to offer. Any pride, arrogance, sense of self-sufficiency, reservation, or ingenuity that can mistakenly be read into it, is fatal to its understanding and would shut the door to its blessings. Sixth, the path of the Qur’an is the path of self-surrender, of practicing what it tells you, even if one learns only one Ayah. One Ayah learnt and acted upon is better than a thousand explained beautifully but which do not impart any beauty to the reader's life. Obedience, after all, is the real key to understanding. Reading the Qur’an should induce faith inside your heart; that faith should shape your lives. It is not a gradual piecemeal process, by which you first spend years reading the Qur’an, then understanding it and strengthening your faith, and only then act upon it. All things take place simultaneously: as you hear or recite the words, they kindle faith inside you; as you have faith inside you, your life begins to change. What we must remember is that to live by the Qur’an requires a major decision on our part: we have to completely alter the course of our life, irrespective of what may be the dominant thought-patterns around us, or what our society may be dictating, or what others may be doing. This decision requires major sacrifices. But unless we, as believers in the Qur’an being the word of God, are prepared to take the plunge, not much good will come out of the time spent with the Qur’an. Let us rejoice then and re-acquaint our selves with Allah through His Book.